Advice to romantic couples: I know it seems romantic and exciting to pull a “Before Sunrise” and agree to meet that new flame at a prearranged time and place, but play it safe and exchange numbers. Get their email address. Share Google Calendars. Otherwise it can lead to a lot of misunderstanding and confusion, and romantic melodrama in the case of “3 Hearts,” the well-acted but overwrought French film by director Benoit Jacquot (“Farewell My Queen”). The film, now out on Blu-ray from Cohen Media, throws a mountain of complications (some self-inflicted) between its couple, and amps up the stakes with enough ominous music and narration to make us wonder not only if they’ll stay together, but if they’ll survive. It’s like a soap opera as directed by Christopher Nolan. Sylvie (Charlotte Gainsbourg) and Marc (Benoit Poolevorde) have both missed their train back to Paris. Meeting in a cafe, they end up walking and talking around town till dawn. It’s a strong scene, both actors suggesting the nervous thrill of making a connection when they least expect it to happen. They make a plan to meet back in Paris, but are thwarted by circumstances. Plus, Sylvie is unhappily married, and decides to go with her husband to his new job in Minneapolis, which is depicted in the film as a sort of frozen purgatory. (Guys, it’s a really nice city!) Unsure what went wrong, Marc moves on, eventually starting a gentle courtship of one of his clients, Sophie (Chiara Mastroianni). They get married. And it turns out Sophie is Sylvie’s sister. 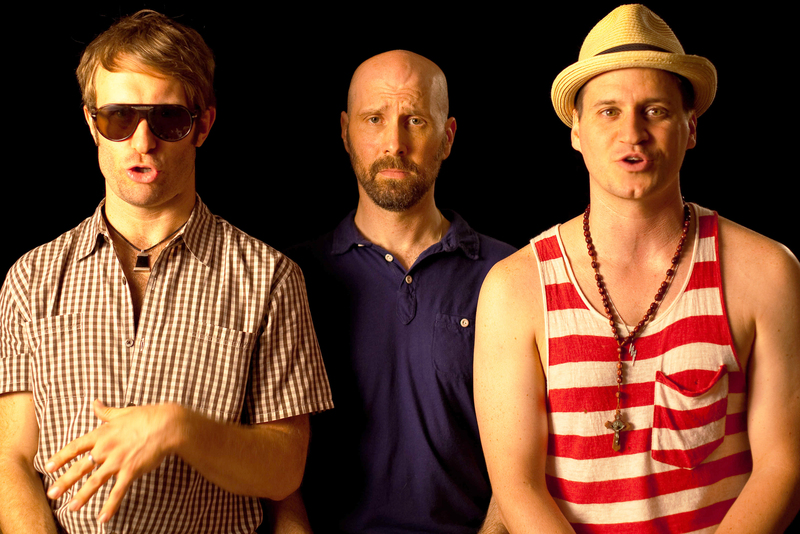 For the first hour of “3 Hearts,” Marc is unaware of the connection, but we are, and Jacquot builds tension as he just misses seeing evidence here and there. In the second hour, Sylvie comes back to France, and the suspense comes from wondering whether Sophie will find out, and what Marc and Sylvie will do. Jacquot squeezes every drop of melodrama out of his preposterous story, shooting “3 Hearts” as if it were a thriller, full of meaningful glances and sudden stings of music, the nervous Marc seeming less like the fulcrum of a love triangle than a guilty man trapped in a film noir. The overhyped tone feels at odds with the relatively grounded performances, especially Gainsbourg as the cool but soulful Sylvie, and Mastroianni as the kind, devoted Sophie. 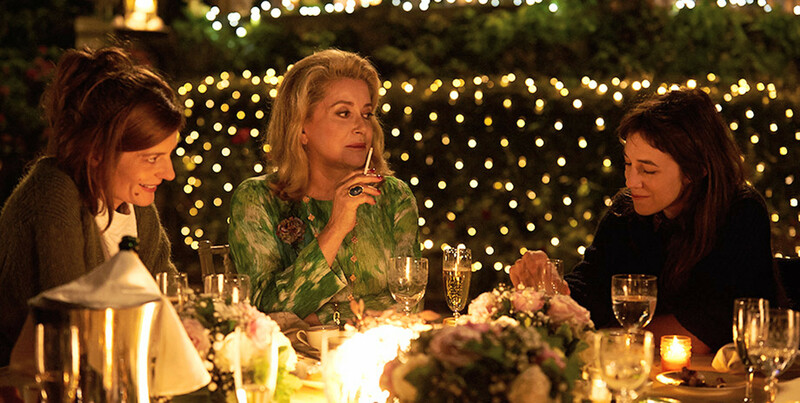 The great Catherine Deneuve is also in there as their mother, but is given surprisingly little to do. I think we could have become invested in their stories without the histrionics. “Southpaw” opens Friday at Point, Palace and Star Cinemas. R, 2:03, two stars out of four. 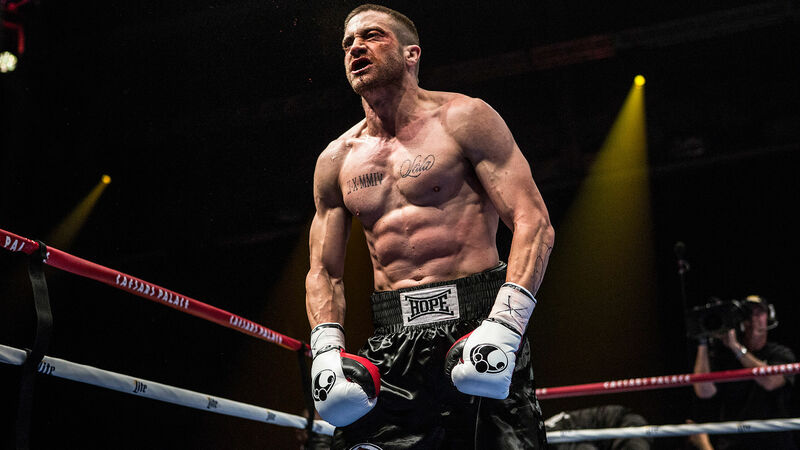 Bulked up beyond reason, crazy-eyed and covered in his own blood, Jake Gyllenhaal doesn’t look like a good-guy boxer at the opening of “Southpaw.” As Billy “The Great” Hope, Gyllenhaal looks like the guy the good-guy boxer knocks out in the third act in order to win the championship. Seeing the tattooed, mumbling Hope take shot after shot in the ring, almost cheerfully absorbing the pain, we’re led to be believe that this will be a different sort of boxing drama from director Antoine Fuqua (“Training Day”) and writer Kurt Sutter (“Sons of Anarchy”), grittier and meatier. Fuqua shoves the camera into the bloodied faces of his combatants, as if Gyllenhaal is smacking the cameraman sideways instead of his opponent. Out of the ring, Billy seems less like a gladiator than a good-natured if murderous man-child, going where he’s told and letting the people around him make all the decisions for him. The first full trailer for the next James Bond movie, “Spectre,” was released on Wednesday. I am a monumental James Bond fan — own all the movies, read all the books (even the non-Fleming ones), played the video games. 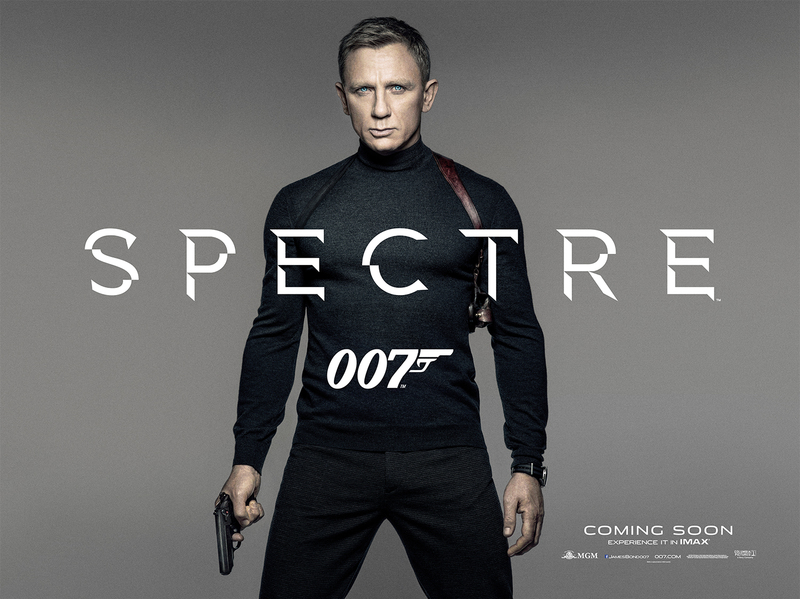 I could not be more excited for “Spectre” to come out on Nov. 6. And I’m not going to watch the trailer. “Tig” (Netflix) — My full review is here. 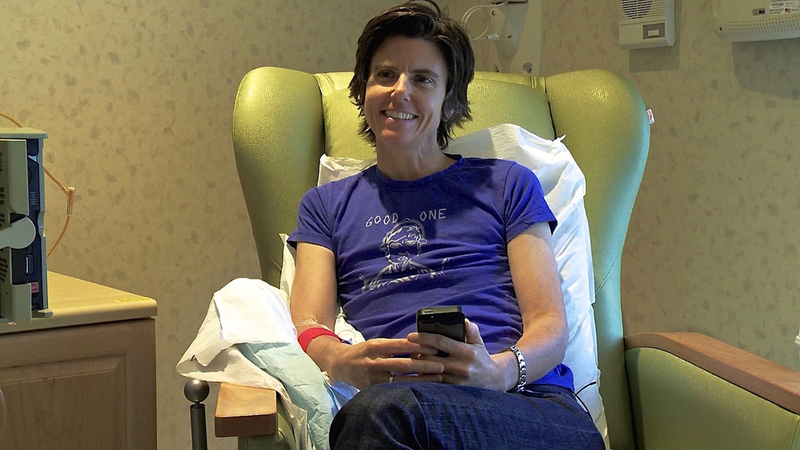 This documentary on comedian Tig Notaro is intimate and revealing, even for a film about a standup comedian who turned her bout with breast cancer into a legendary stand-up show. The doc looks at what comes after for Notaro, as she struggles to figure out the next chapter in her professional life, falls in love and pursues her dream of having a baby. 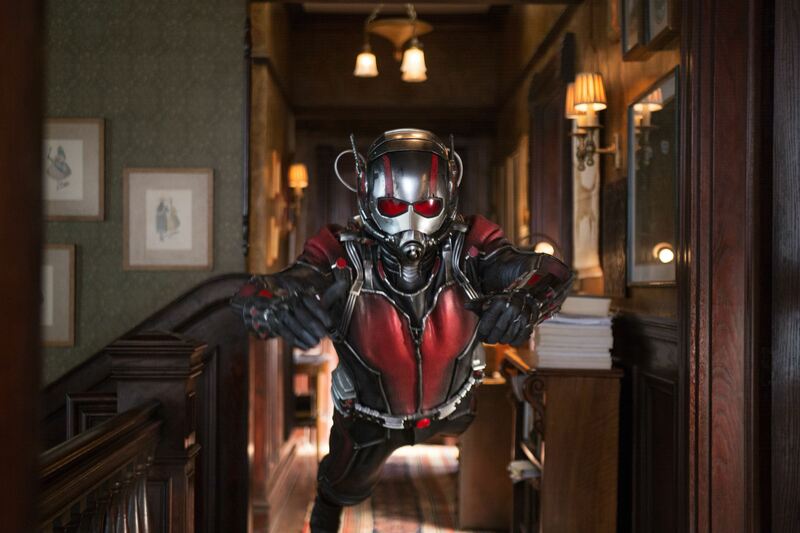 “Ant-Man” opens Friday at Point, Palace, Star Cinema and Sundance. PG-13, 1:57, three stars out of four. If you’re worn out by superhero movies featuring apocalyptic battles in which cities are leveled and entire countries are lifted into space, may I present “Ant-Man,” in which the climactic showdown takes place aboard a Thomas the Tank Engine train set. And not even a particularly elaborate one.